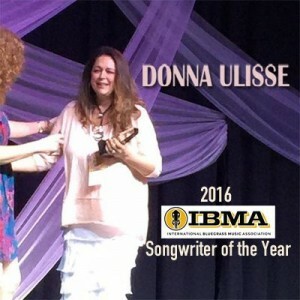 Donna Ulisse wins IBMA Songwriter of the Year! 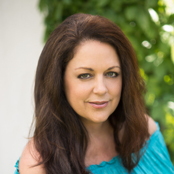 Congatulations to Hadley Music recording artist and songwriter Donna Ulisse who was named the 2016 IBMA (International Bluegrass Music Association) Songwriter of the Year. It was the fifth year in a row Ulisse had been nominated and the audience jumped to their feet when her name was called. Donna has had songs recorded by Del McCoury Band (Grammy winning album), Doyle Lawson Band (Grammy nominated album), Claire Lynch Band, Larry Stephenson Band, Volume Five and many more. 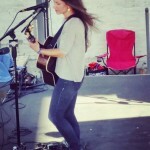 Folk singer songwriter and Hadley Music Group artist Natasha Borzilova was a hit during her September 2016 performances at the Bristol Rhythm & Roots performances in Bristol, TN/VA. She did several shows in a two day engagement. A few names included in the festivals always impressive lineup were The Indigo Girls, Darrell Scott Band, Hayes Carll, Marty Stuart, Bela Fleck & Abigail Washburn. 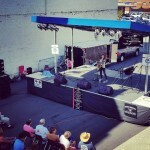 Donna Ulisse hosts Bluegrass Ridge on Heartland TV! 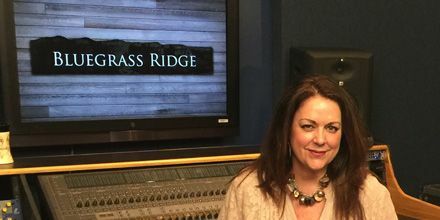 Hadley Music Group recording artist was recently in the studios taping a month’s worth of shows as the host for Bluegrass Ridge, a bluegrass video program on the Heartland TV Network. The show is thirty minutes long featuring videos from the top bluegrass music acts as well as interviews. Along with Heartland TV, the show also airs on The Family Channel, Angel Two (Dish-TV), AMG-TV, Keep It Country TV-UK/Ireland, Country TV (New Zealand) and DTC Cable (check local listings). Donna will be the host for the full month of August 2016. The show has added Donna’s videos of the songs “Hard Cry Moon”, “Showin’ My Roots”, “I Am A Child of God”, “Her Heart Is A Stone Hard Ground” and “These Troubles” into rotation and also featured Donna in an interview. They will also be adding her Christmas video of “He Is Here” into their Christmas programming. Ilya Toshinskiy is the former lead guitarist and banjoist for the Russian Grammy nominated band Bering Strait. Classically trained in a music conservatory in Moscow, he came to the United States as a young teenager and part of Bering Strait. The band was featured on 60 Minutes, had a documentary made about them (The Ballad of Bering Strait) and was signed to Universal South Records and released two critically acclaimed albums. Ilya was quickly scooped up into the world of studio work in Nashville and was the first member to leave the band with so much studio work being offered to play on the records of others. We are thrilled that he was able to find the time to compose ten fantastic banjo instrumentals and record the album Red Grass for Hadley Music Group.The album is set for a release date of May 20, 2016 and includes a stellar group of supporting musicians such as Jerry Douglas on dobro, Bryan Sutton on acoustic guitar, Luke Bulla and Aubrey Haynie on fiddle, Andy Leftwich on mandolin to name just a few. Below is the EPK about the album. 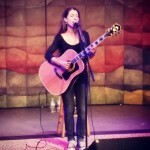 The song “White Noise” is from the Hadley Music album release Wilder Days by Natasha Borzilova. It was co-written by Natasha Borzilova and UK singer-songwriter Edwina Hayes. 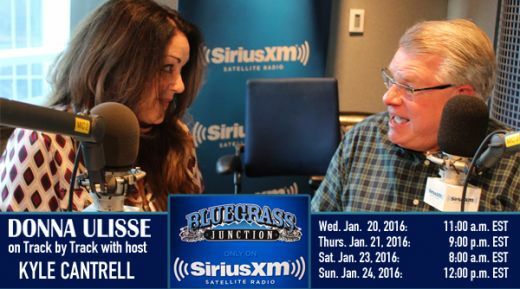 Donna Ulisse’s new album to be featured on Sirius XM’s Bluegrass Junction! Donna Ulisse was recently in the SiriusXM studios taping “Track by Track” with host Kyle Cantrell as they chatted about her current release Hard Cry Moon as well as played all of the tracks from the album. As always, Donna shared some of the stories behind the songs that she had a hand in writing. 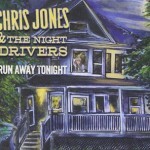 Uncle Hadley Music has song on new Chris Jones CD! 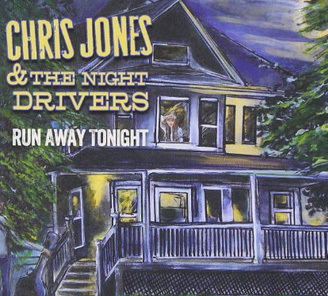 Uncle Hadley Music has a song co-written by staff writer Donna Ulisse and Chris Jones on the new Mountain Home Music release by Chris Jones & The Night Drivers. The album is titled Run Away Tonight and the song is “My Portion and My Cup”. 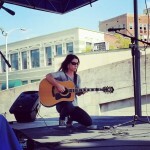 Donna Ulisse nominated for IBMA Songwriter of Year 4th year in a row! 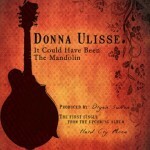 Hadley Music Group writer Donna Ulisse has been nominated for the fourth year running for IBMA (International Bluegrass Music Association) Songwriter of the Year. Other nominees are Mark “Brink” Brinkman, Becky Buller, Shawn Lane, and Bill Castle. Between these five writers, they have had an impressive list of songs recorded. The award is voted on by committee that examines the accomplishments of each songwriter during the given time period for the award. Things considered are songs recorded, chart positions, radio airplay, sales, songwriter workshops given and other things done during the year to further the craft of songwriting. 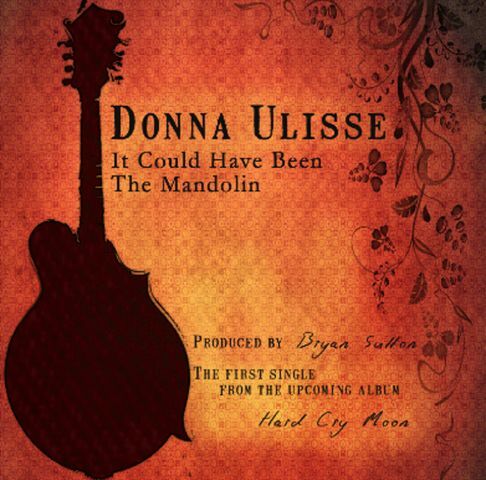 “It Could Have Been The Mandolin” is the first single to ship to radio from the upcoming release by Donna Ulisse, Hard Cry Moon. The song is a co-write by Plisse and frequent co-writer Jerry Salley.